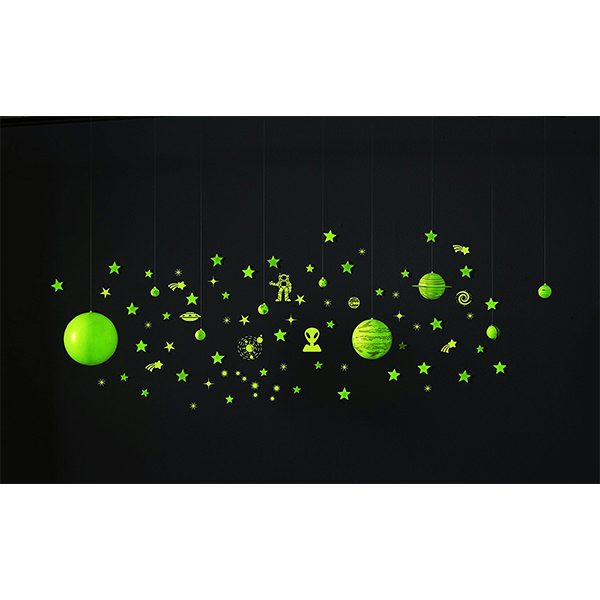 Shipping Dimensions: 12" x 9" x 4"
Indulge in the wonderment of the solar system with this space and star glow in the dark set. Mount or hang items and transform your room into a beautiful landscape of space! 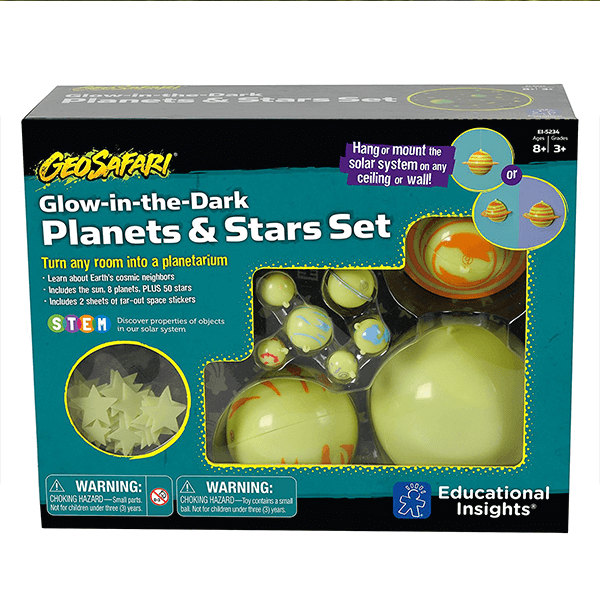 If You Liked Educational Insights GeoSafari Glow in the Dark Planets & Stars Set, See More Related Products Below!